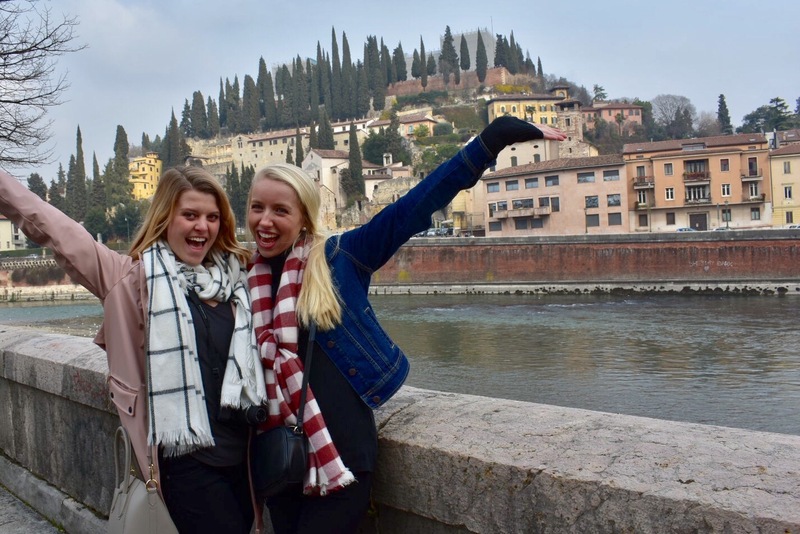 This past weekend I had the opportunity to travel to the beautiful cities of Venice and Verona. Each city celebrated a particular holiday, which made for an exciting weekend. The Venice Carnival is a celebration leading up to the Christian season of Lent. Every year, people from all over the world visit Venice at this time of the year for its beauty and for the carnival, of course. 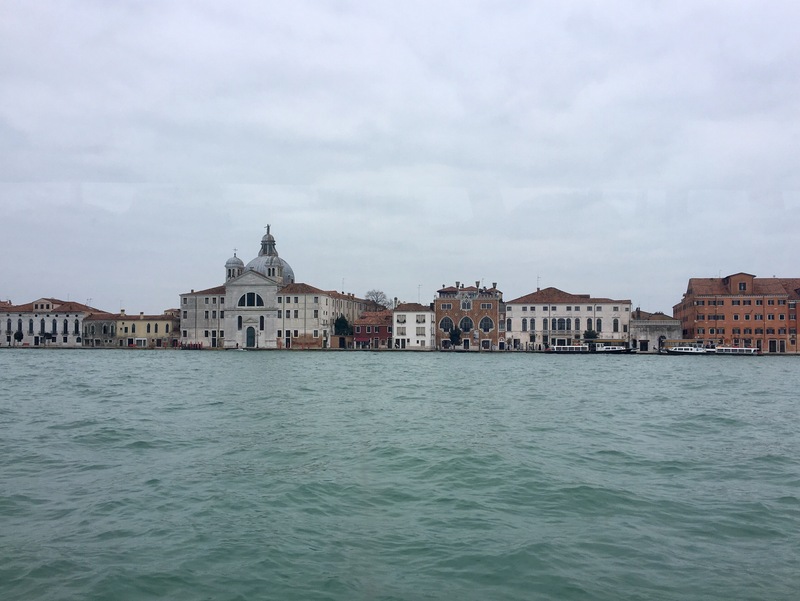 Venice is a three hour bus ride from Florence along with a 15 minute water taxi. 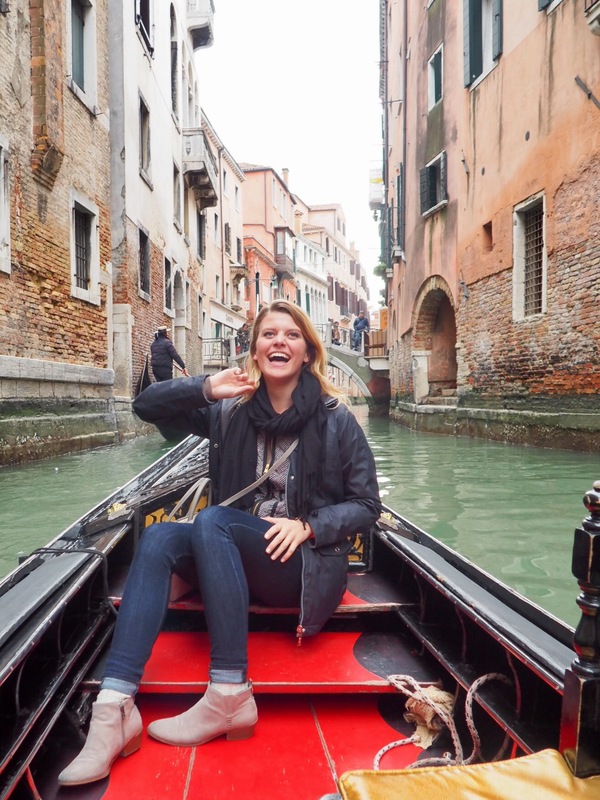 We excitedly watched out the windows as the taxi made its way to Venice’s largest island. The views were gorgeous, even on a cloudy day. Brightly colored buildings of white, yellow, and reddish-orange complimented the teal water perfectly. I couldn’t get over how clean and pretty the water actually was since the river back in Florence typically looks grey. Google Maps highlights Venice; we explored the main island shown here. 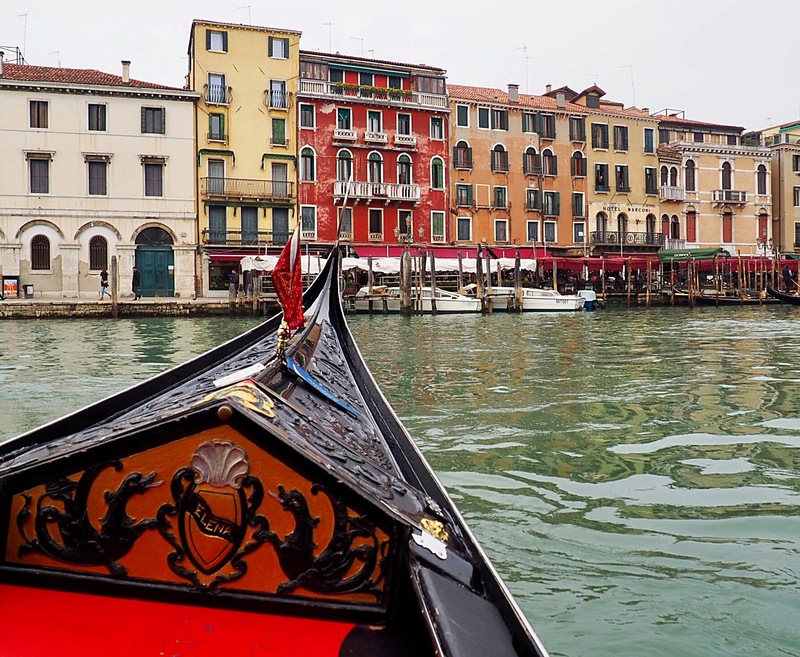 Fun fact: Venice has 118 islands that were built on platforms reaching to the ground, which are connected by many canals and bridges. Read more about it here. My view from the window of the water taxi. My first impression of the island was of the gorgeous buildings and canals throughout the city. Every bridge we crossed looked just like the pictures. A bit crowded this weekend due to the carnival, but the atmosphere during this time was something special. The city is famous for not only the canals, but also for glass blowing. 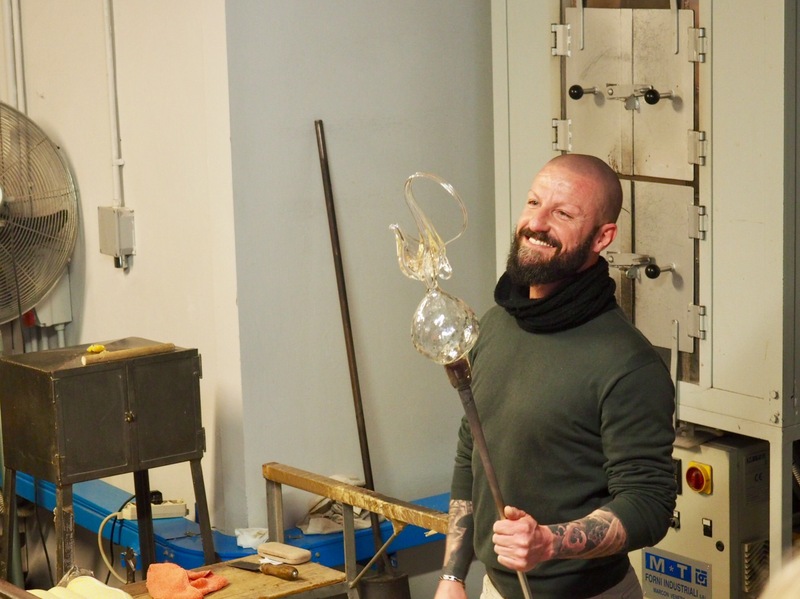 Our first stop was a Venetian glass blowing tour at the Vecchia Murano Glass Factory. A worker made a glass figure in front of our tour group from start to finish (see pictures below). 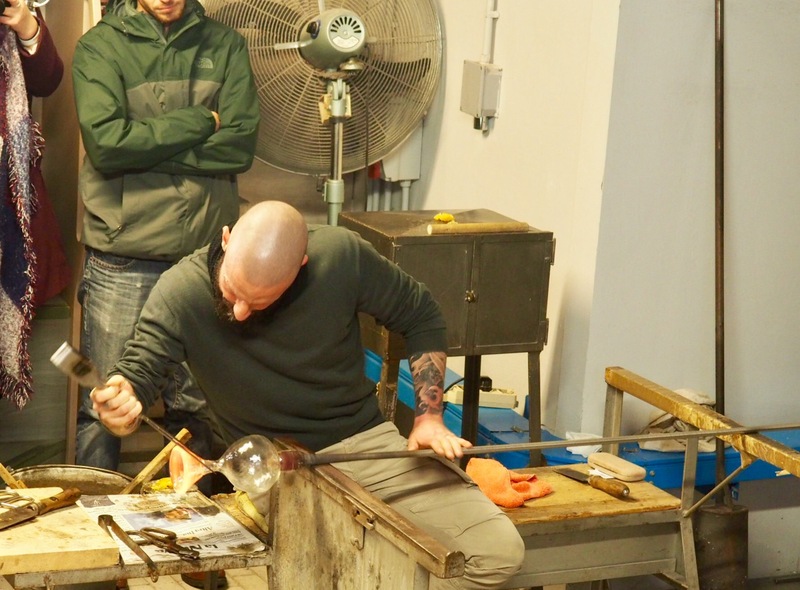 The glass blower forms a shape with one of many different metal tools. The finished product. He was very proud of his glass sculpture, whatever it may be. 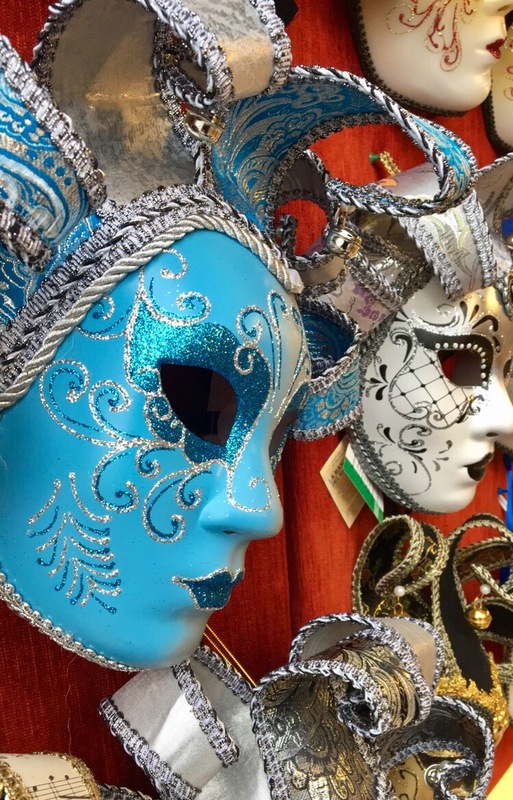 The Venice Carnival is known for elaborate masks, which is why every kiosk we passed had an impressive supply of them. Walking throughout Venice, we spotted several families, couples, and groups dressed with different designs of masks. 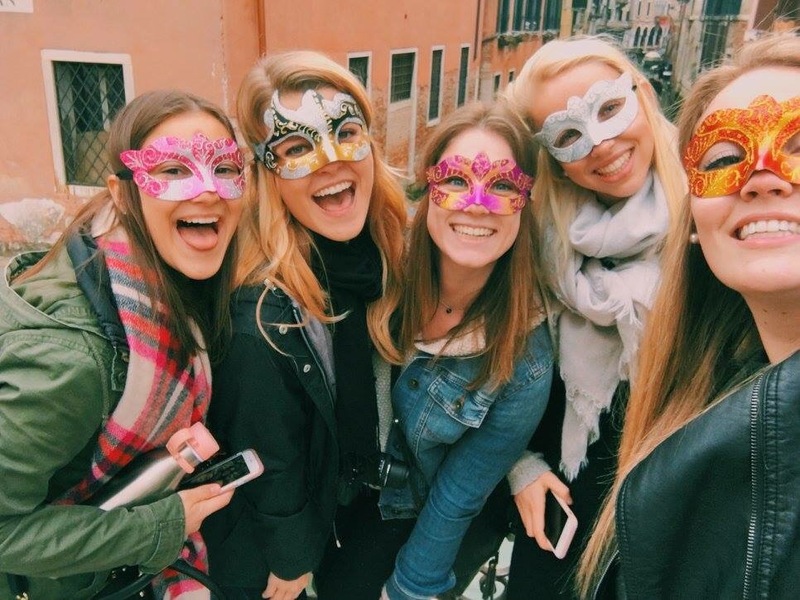 In celebration of the Venice Carnival, my roommates and I bought inexpensive masks and were able to wear them around and blend into the crowds. This close up of a full face mask shows some of the detail these masks carry. Displaying our colorful masks at the carnival. 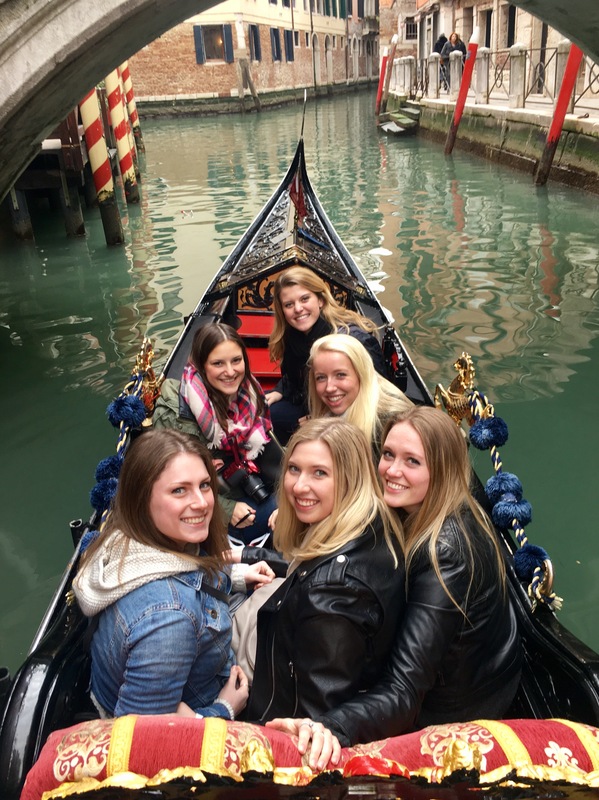 Of course, one can’t visit Venice without taking a gondola ride. Our gondolier, Fabio, was fabulous. Dressed to the nines, this nice man gave us a small tour of the buildings and structures we passed by. He had us make a wish while we passed under the infamous bridge, and pointed out Marco Polo’s house as well as a house from one of the James bond’s movies. It was the best money I’ve spent so far in my travels! I absolutely recommend making a trip to Venice, the sights and activities are well worth it. The views from the gondola were absolutely amazing. 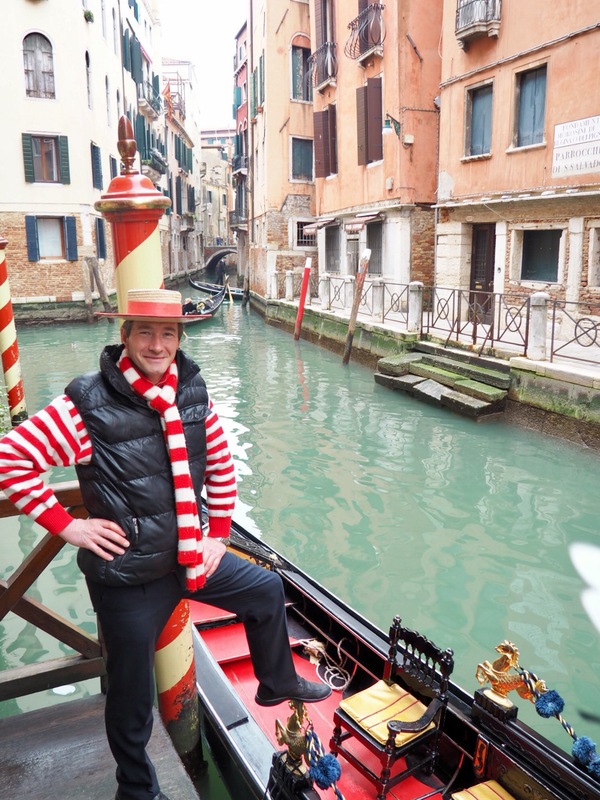 Last but not least, our gondolier, Fabio. 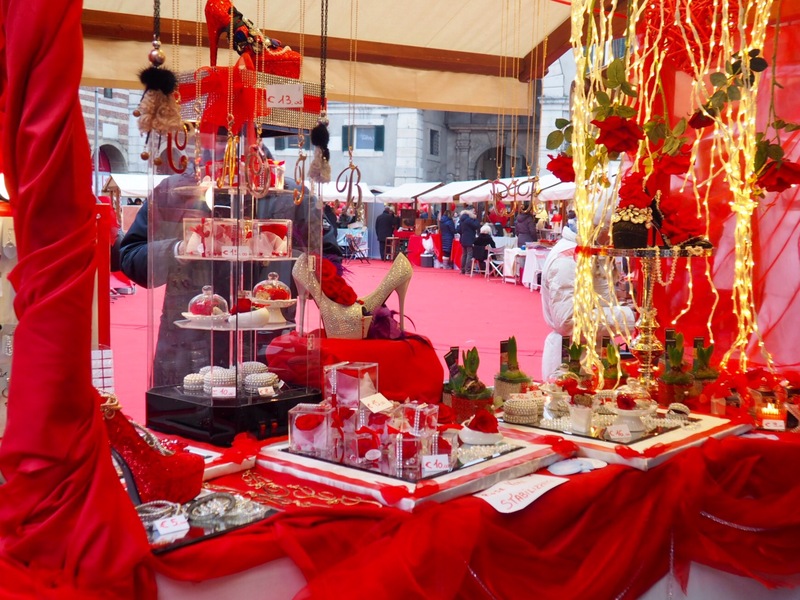 When in Italy – there is no better way to celebrate Valentine’s Day weekend than making a trip to the city of love. We arrived in an upbeat atmosphere as a band played for the Valentine’s decathlon participants as they crossed the finish line. Pink and red hearts attached to each light pole lined the square, a truck with a picture perfect background of a heart made up of roses sat near the band, and food trucks were placed throughout the area. For our first stop, my roommates and I went on a brief walking tour of the city. We were shown Juliet’s grave, Romeo’s house, Juliet’s house and balcony, some incredible views, and the Verona square. The tour itself took no longer than an hour because the city is extremely small. We took off on our own after the tour and found an outdoor seating restaurant with a view of the arena (similar to Rome’s colosseum). Taking in some more amazing views across the river in Verona. 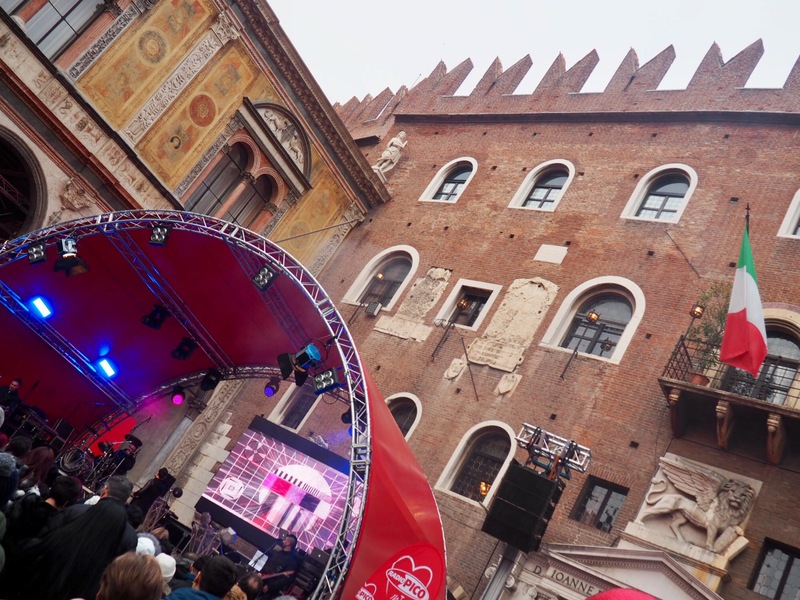 The Verona in Love festival attracts tourists and locals from all over and is also quite family friendly. 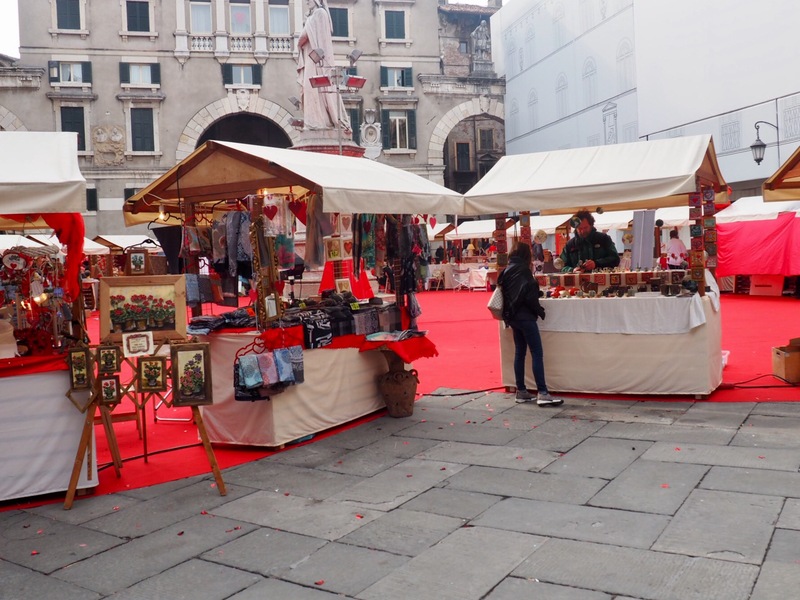 In one of the city’s squares sits a giant red heart, lined with booths selling chocolate, jewelry, gifts, and anything else one may need on Valentine’s day. I bought a cup of strawberries with chocolate and whipped cream, delicious! Towards the end of the day, a band played live music in the square, singing both in Italian and in English. An odd observation I made from the crowd was that no one danced, sang or took pictures during the performances, which is much different than we’re used to in America. My roommates and I quietly danced to the few songs we recognized, then had to catch our bus ride back to Florence. 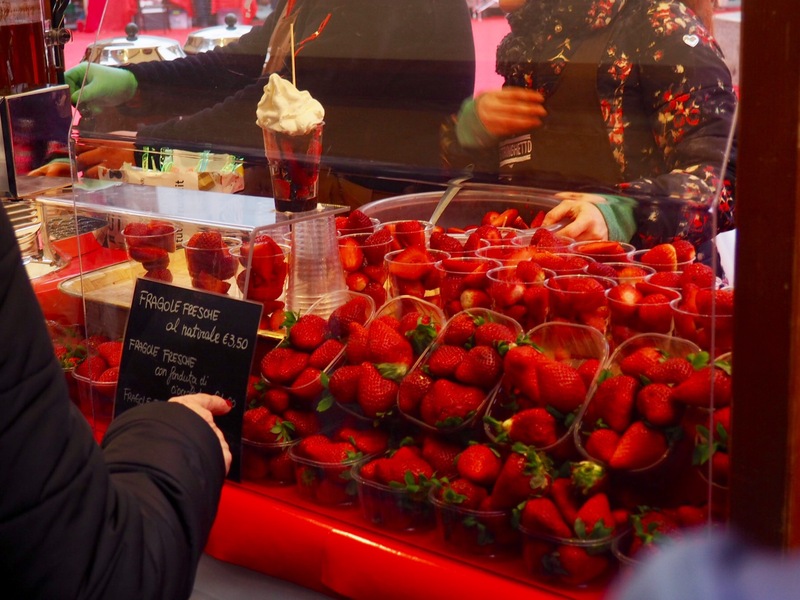 Fresh strawberries “fragole fresche” at the chocolate festival. 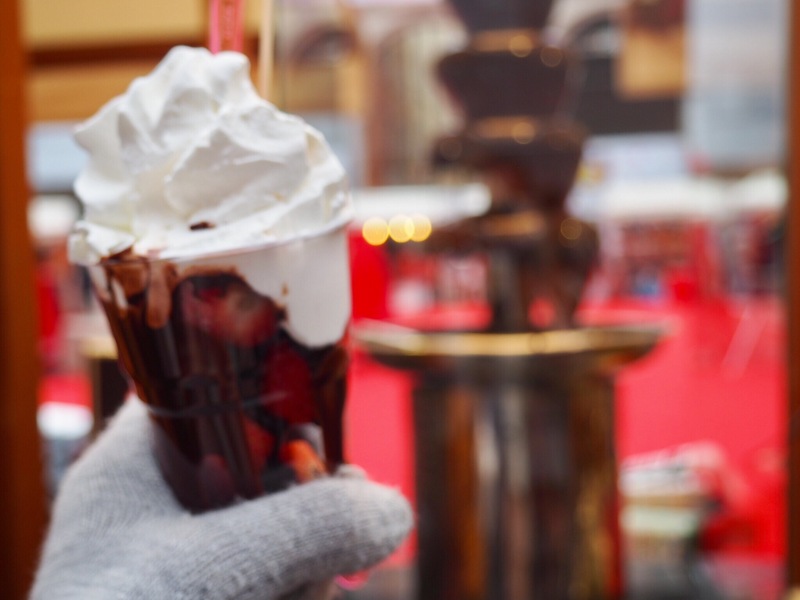 Slightly blurry, this is my strawberry and chocolate treat with the chocolate fountain in the background. The top of the heart-shape; the entire heart can only be seen from high up. Booths outline the shape of the heart. One of many jewelry booths set up in the square. This picture captures the beautiful architecture of the buildings in Verona, the Italian flag, and the venue for the live band. So enjoy reading your blog as always Ali…thanks for the great photos too…I almost feel like I’m there!!! Thanks for reading, Joyce! I’m happy you’re enjoying the photos too!